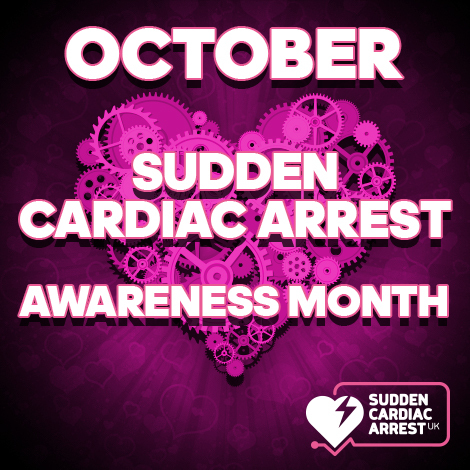 October sees a number of campaigns relating around Sudden Cardiac Arrest, in particular SCA Awareness Month, Restart-a-Heart Day and Shoctober. 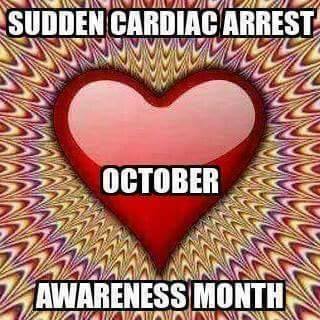 In the US they have a Sudden Cardiac Awareness month and we became aware of it in 2016 when member Trudy Bass-Chapman, posted their eye catching meme into our group as it happened to coincide with the anniversary of her SCA event. This was subsequently shared on our Facebook Page and got the best response we’d had up to that point. 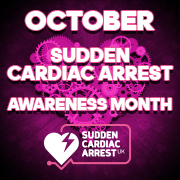 The following year, we thought it worth using the momentum of the various campaigns to help promote awareness of not only the fact that defibrillators & CPR are important, but to also raise the profile of survivors and others affected by an SCA and also the fact there is our group and website to dedicated to supporting those people. We now have some images that have been created by Alex of Equilibrium and can be used for social media purposes. You can download them simply by right clicking on the images and selecting “Save as”. Use this as your large cover photo that is shown at the top of your profile. Use this as your 180×180 small profile picture. Restart-a-Heart Day is an annual Euopean initiative which aims to train as many people as possible in CPR in one day, so that more people know these life saving skills. In the UK the Resuscitation Council, British Heart Foundation, St John’s Ambulance and all the various regional Ambulance services combine their efforts to get as many young people trained in one day. Shoctober is an initiative by the Australian Cardiac Arrest Survival Foundation to raise awareness of defibrillators (AED’s). This was also the title of a recent campaign by the North West Ambulance Service which was used to help locate as many defibs as possible in their area.